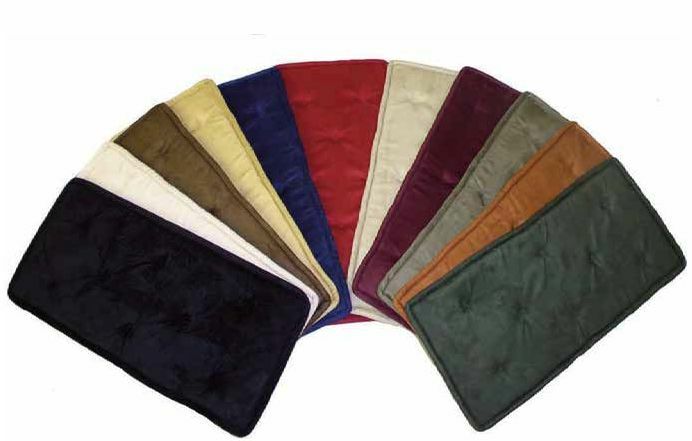 Beautiful piano bench cushions, and individually tufted to provide comfort & color to any piano or organ bench. Luxurious soft cotton suede look fabric with 1" thick polyurethane foam padding, easily attaches to your bench with 3 tie strings. 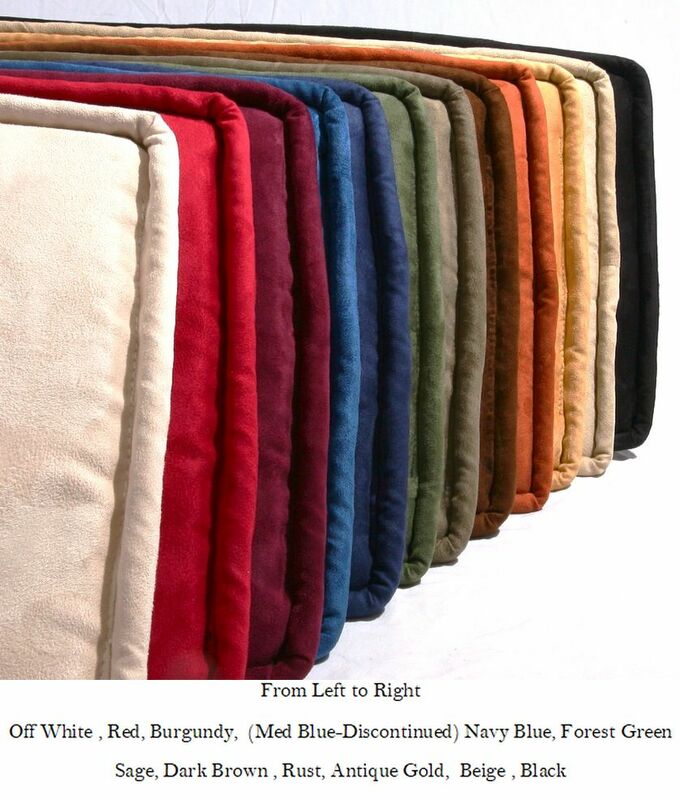 11 Colors available - Click Here to see more color cushion photos. I love my new piano bench cushion for its lovely fabric, firm comfy cushion, and wonderfully rich color. I was especially impressed with the careful packaging so that there was very little wrinkling or unsightly marks. The quality of its workmanship is outstanding! This is a supreme example of what our country can still make, and I thank you for all your exemplary care of your products! This bench pad suits my needs very well. The size is just right, the pad is very comfortable, and the color, though not what I would call merlot (actually more of a purple) works just fine with my living room. 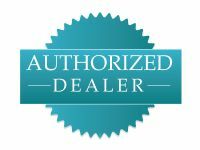 I would buy from this establishment again, and would not hesitate to recommend this pad. I am completely pleased with this purchase. Delivered promptly, measured correctly, made of quality materials, simple to install, provides seating comfort, but without excessive bulk. Permits me to log more time at the keyboard with consistent comfort and good posture. Highly recommended. I was very surprised at how quickly my order was filled--especially during the Christmas rush. The cushion I ordered is just the right color and the craftsmanship and quality are even better than I expected. I ordered a standard size and it was a perfect fit. Received my special order size piano cushion more quickly than I could have wished for.. for special order...and the quality and exact size and material are outstanding!! Communication on shipping with tracking ALSO excellent!! I Highly recommend this company! !